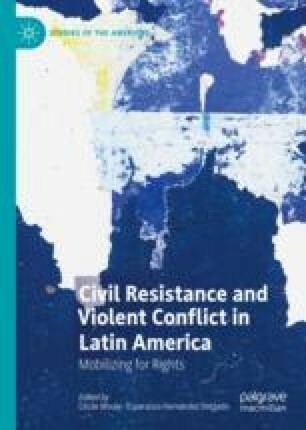 This concluding chapter reflects on key aspects of civil resistance in the context of violent conflict in Latin America in relation to the case studies. It confirms that civil resistance is a viable alternative for citizens to defend their rights against powerful opponents. Nonviolent resistance is indeed an effective way for grievance groups to wield power and redress asymmetries. The resistance movements studied employed diverse methods to achieve their objectives, including combinations of civil resistance with negotiation and legal proceedings. Several also worked towards transforming public discourse about the issues at stake. Importantly, experiential learning enabled various movements to improve their strategy. One key lesson learnt from the case studies is the centrality of maintaining nonviolent discipline in the face of actual or potential violent repression. We conclude that civil resistance processes in context of violent conflict in Latin America may not fully achieve their stated goals, but leave significant legacies.